On November 17, 2018, a ribbon-cutting event was held in the Lincoln District to celebrate the official unveiling of the Lincoln District Revitalization Project improvements. Attendees were able to meet the Mayor, tour public art, listen to performers, and visit all the businesses. Watch this Tacoma Report story from the community celebration. The Lincoln District Streetscape is the cornerstone of the Lincoln Revitalization Project. Key features of the streetscape include neighborhood entryway, roadway, sidewalk and pedestrian infrastructure improvements. Learn more about the improvements by visiting the Lincoln Streetscape web page. Promote an economically thriving business district that provides access and support to businesses with sufficient and clearly defined parking and pedestrian amenities. Provide an inviting and accessible destination area for eating, shopping and gathering. Create a sense of place by celebrating the cultural diversity that is unique to the Lincoln International Business District. "One of our goals as a city is to highlight neighborhood business districts and help them become destinations. The Lincoln International Business District has unique assets that are underutilized. This long-term effort will require a shared vision, input and assistance from residents, property owners and businesses." 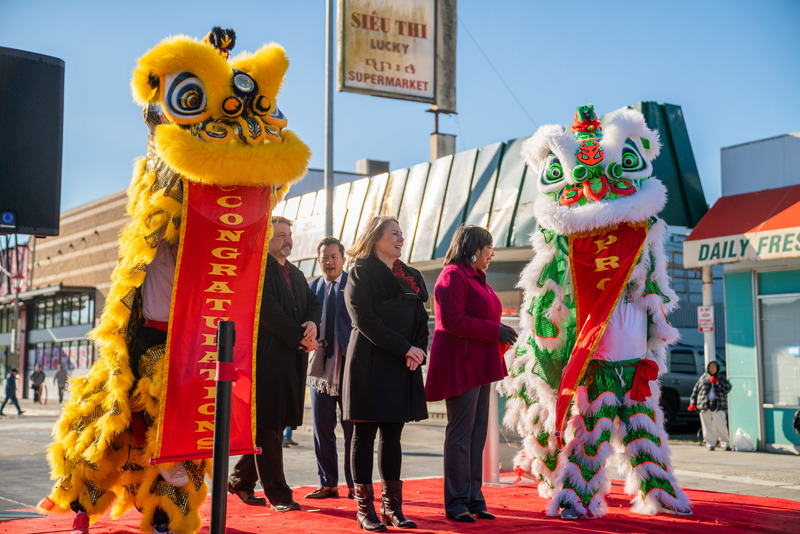 Key project upgrades are happening along the stretch of South 38th Street, from Tacoma Avenue South to Thompson Street, which serves as the primary corridor of the Lincoln Business District and Mixed Use Center. Preliminary plans for the project include features to enhance pedestrian access, traffic calming measures and landscaping elements. Temporary art installations will also be set up around the district. These include an intersection mural, a vertical garden and many others will pop up. The roadway surface will be repaved, and sidewalks will be replaced. The intersections of South 38th Street and South Yakima Avenue, South Park Avenue, and South G Street will feature improved crosswalks and bulb-outs to help calm vehicle traffic. To view more details on the Lincoln Streetscape Project including project schedule and funding, visit cityoftacoma.org/LincolnStreetscape. Tacoma Public Utilities will install new overhead electrical distribution infrastructure in the Lincoln Business District to be timed with the South 38th Streetscape project. The design of the new poles will better accommodate future mixed-use development. The Solid Waste Management Division of Environmental Services will be evaluating conditions related to waste and blight issues to identify opportunities for improved service delivery. An alternative garbage collection model will be implemented in the Lincoln Business District to reduce container visibility in high traffic areas and solutions will be developed to combat litter. 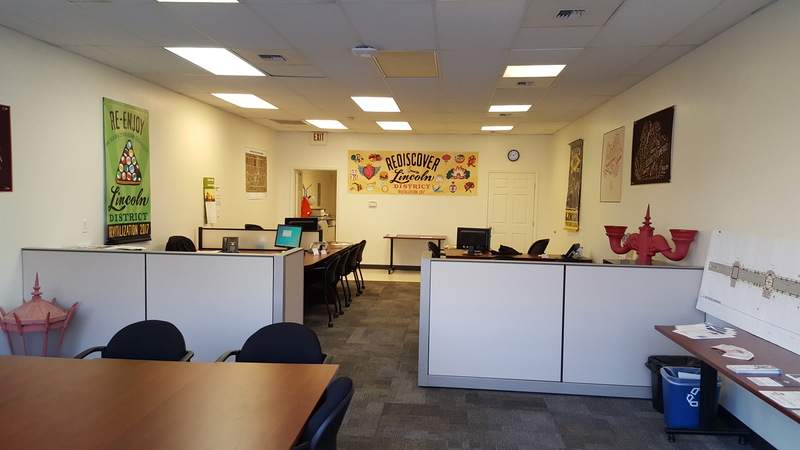 The City opened the Lincoln District Project Office to facilitate community engagement throughout the course of the Lincoln District Revitalization Project. City staff working on infrastructure improvements, economic development and public art programs, neighborhood beautification and human services initiatives will use the project office to engage with the Lincoln community. Come hear about Lincoln Streetscape progress and updates, and provide input on the latest streetscape designs for Yakima Avenue at a open house on Wednesday, August 30, 2017 from 4-6 PM. The open house will be at the Lincoln Project Office at 750 South 38th Street in Tacoma. Residents, employees and businesses are invited to a pre-construction open house and informational meeting from 3 PM to 7 PM on Wednesday, June 7. This event is hosted by the City of Tacoma to allow attendees to view conceptual designs and learn more about the construction timeline. The open house will be at the Lincoln Project Office. An open house was held at the Lincoln District Project Office. Attendees were able to view and comment on plans for the South 38th Streetscape Project, and staff presented the latest design for the project while requesting feedback from the community. An extensive public outreach process has been underway to ensure local business and property owners, as well as neighbors, have a voice in the design of this project. The Lincoln Neighborhood Revitalization Project Open House was held at the Tacoma-Pierce County Health Department Auditorium. This event gave residents a chance to hear about neighborhood revitalization initiatives and give public comment on the streetscape design.View the presentation. Two public open house meetings were held at Jubilee Restaurant in the Lincoln International Business District. Another project update to City Council was delivered to give City Council and the public a status overview of the project, and focused particularly on community partners and the arts components of the project. View the presentation. A project update to City Council was delivered to provide City Council and the public with an overview of the project and its entire scope. View the presentation. "The work in the Lincoln International Business District is exciting. We have an amazing mixture of historic buildings, cultural diversity and potential for improvement. In addition to investing in the business district, we are also looking at how we can support the surrounding neighborhoods. I’m looking forward to seeing the City invest in infrastructure and culturally-competent service delivery in this unique district."